e-CAM31_MI0330_MOD is a high performance, small form factor, 3.4 MP Autofocus Low Light Camera Module with Liquid Lens. It is based on AR0330 CMOS Image sensor from ON Semiconductor®. This Autofocus Liquid Lens Camera Module has slave mode for precise frame-rate control and for synchronizing two sensors. 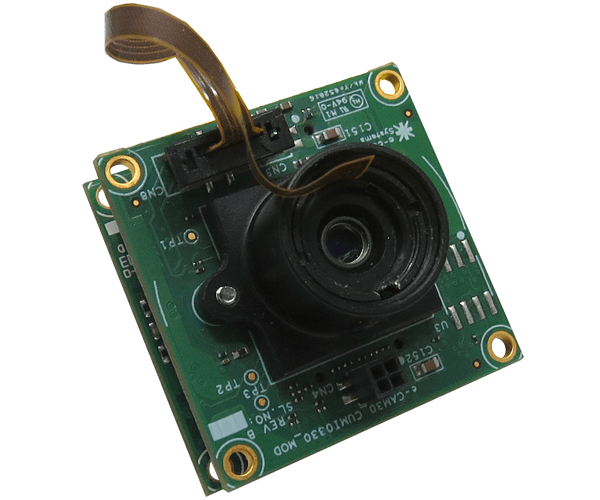 e-CAM31_MI0330_MOD – Liquid lens camera module has superior low light performance. It supports Full HD @ 60fps for maximum video performance. It also has a support for external mechanical shutter and an on-chip phase-locked loop (PLL) oscillator. The dedicated ISP performs the entire Auto functions like auto white balance, auto exposure control in addition to complete image signal processing pipeline. Four-lane serial high-speed pixel interface (HiSPi™) differential signaling (SLVS), four-lane serial MIPI interface, or parallel. Customers who own platforms that support USB 3.0 and are interested in evaluating the 3.4 mega pixel USB camera module, can directly buy the See3CAM_30 from e-con Systems. 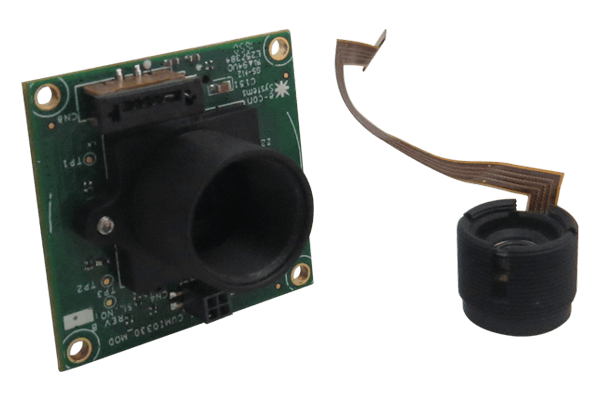 The MIPI Camera daughter card (e-CAM31_TX2) can be bought by customers choosing to evaluate the e-CAM31_MI0330_MOD camera solution with a direct interface on the NVIDIA® Jetson TX2/TX1 Developer Kit. Customers interested in customizing the same camera module or planning to use a different camera/sensor module can contact sales@e-consystems.com and explain their requirement. e-con Systems provides camera driver development, customization and porting services for e-CAM31_MI0330_MOD on any application platform as per customer requirements. Please contact sales@e-consystems.com with your customization requirements and we will be glad to happy to work with you!